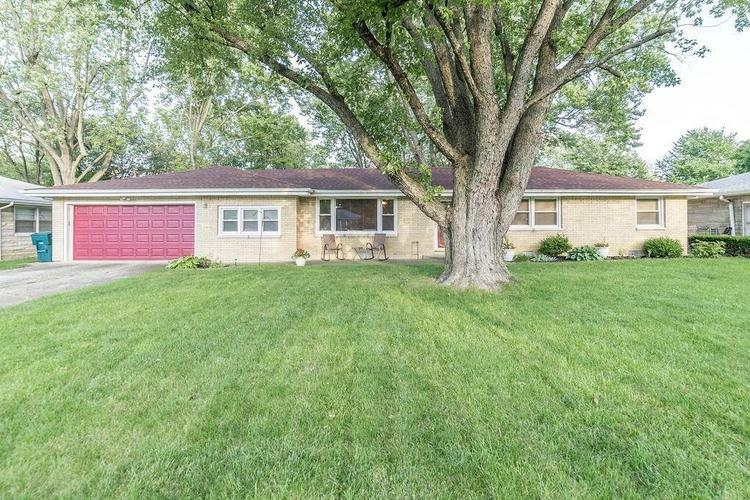 This home features over 2000 square feet, 4 bedrooms, & 1.5 baths! Home is much larger than it looks from the street. Upon entering the home you're greeted by a large living room featuring nice hard wood floors & large picture window letting in lots of light. The living room leads back to the kitchen. Kitchen has solid surface counters w/built in sink & nice pantry w/roll outs. Beyond the kitchen is the HUGE family room with fire place. 4th bedroom & half bath are located near kitchen, making this a great master area or guest area. 3 bedrooms are located on the other side of the home including full bath. All bedrooms are good sized & have nice closets. If you're looking for an affordable 4 BR home in a great, neighborhood, this is the one!